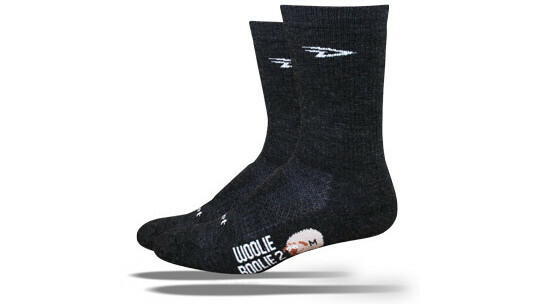 Wool is a staple of the DeFeet line. 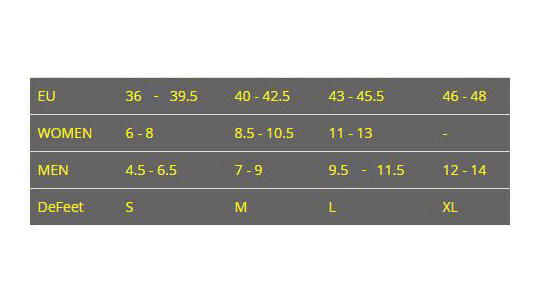 DeFeet source the highest grade wools on the planet. Combined with DeFeet construction the result is the finest wool sock that you can buy. The DeFeet wool line is continually growing. Wool has attributes that can't be found in other fibres. DeFeet wool socks stay cooler in the heat because of the construction of the mesh. They stay warmer when they are wet and in cooler temperatures because of the amazing thermal properties of wool. New features on the Woolie Boolie 2 include padded terry loop top cuff and foot sole and arch compression in foot for greater stabilization. Also available with a 4" cuff. Road.CC - "Excellent socks for winter riding. Extremely comfortable and fairly priced, but make sure your shoes are roomy enough"